While reading my Bible and having coffee early in the morning, I see the birds getting their breakfast of seeds from the ground and feeder. I love supplying seed and watching the birds come each day. It brings me true pleasure to watch them arrive, feed and linger awhile. I often think about the comparison of the bird’s morning feeding with the way I start my mornings. What a delightful thought to see myself similar to a little bird coming to spend time with my heavenly Father. My food, morning manna, is His Word and He is always there. He is always present, watching, providing, caring and even enjoying my coming to Him. 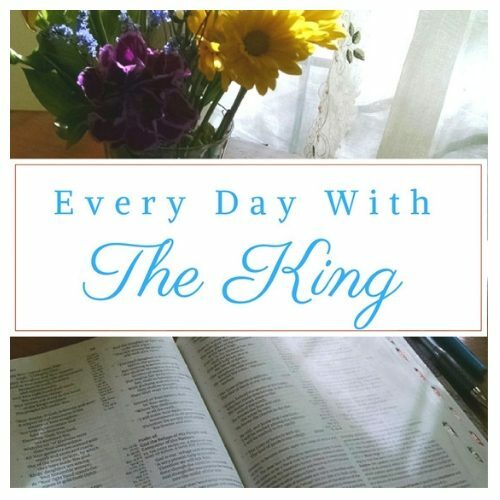 Come early in the morning and start your day with the King! Crisp and beautiful. Thanks for the important reminder.